The advancement of an employee from one job position to another job position that has a higher salary range, a higher level job title, and, often, more and higher level job responsibilities in an organization, is called a promotion. Sometimes a promotion results in an employee taking on responsibility for managing or overseeing the work of other employees. Decision-making authority tends to rise with a promotion as well. Unlike in a lateral move, the promotion can result in more status within the organization. But, along with the authority and status conveyed with the new position title, comes additional responsibility, accountability, and expanded expectations for contributions. Indeed, one standard joke in organizations that promote employees is "Be careful what you wish for..."
Visually, a promotion moves an employee's job up one level on an organizational chart. The new reporting relationships are displayed as vertical lines to boxes below the new level of the employee following the promotion. A promotion is viewed as desirable by employees because of the impact a promotion has on pay, authority, responsibility, and the ability to influence broader organizational decision making. A promotion raises the status of the employee who receives a promotion which is a visible sign of esteem from the employer. As a sign of the value and esteem that an employee is held in by the employer, the promotion is a visible action that other employees see. In all cases of promotion, the employer is telegraphing to other employees the kinds of actions, behaviors, and values he'd like to see in their attitudes, outlooks, contributions, and commitment. The first dilemma an employer faces is whether to post a job vacancy internally, externally, or both. Internal employees must feel as if they have the opportunity for promotion or they begin to feel as if their careers are on hold and there is nowhere for them to progress unless they leave your organization. External applicants bring knowledge and experience from outside of your organization, which is needed for the organization to continue to grow and develop. Most employers decide on a mix unless a job requires skills that the employer knows are not available internally. Whether an employer has time for an internal candidate to get up-to-speed on the skills needed also plays a role in whether an internal candidate is considered for a promotion. A promotion is not necessarily the right action to take with every employee. Some employees don't want higher levels of responsibility and authority. They are happy working on the job as valued individual contributors. A promotion is a form of recognition for employees who make significant and effective work contributions. Consequently, a second dilemma arises in organizations since repeated promotions generally place an employee in a management role. Organizations, however, have made promotions the primary method for employees to increase their pay and authority. 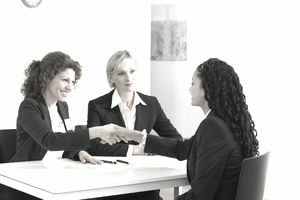 Employers are challenged to provide alternative career paths for employees who deserve the benefits and recognition provided by a promotion but do not aspire to manage the work of other employees. Individual contributors must be eligible for promotions that recognize and reward their role as contributors. Both visibly and as to inform to the rest of the organization, this recognition demonstrates what the employer values. For example, in a workplace that has a development staff, it may make sense to offer job titles such as Developer 1, Developer 2, Developer 3, and Senior Developer to provide recognition and promotion for employees who are not interested in a management or team leader role. A promotion is a powerful communication tool about what is valued within an organization. Thus, a promotion must be available to employees who play any role in the contribution of work and value. These are examples of an employee promotion within the HR department. Promotions look similar in other departments in your organization. For example, the Marketing Manager is promoted to Marketing Director. The Engineer is promoted to Lead Engineer.